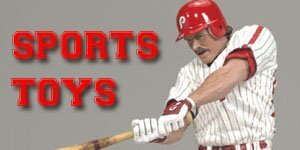 What are the best Superman Action Figures ever made? 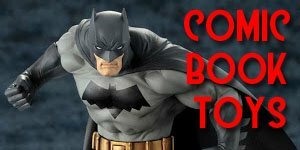 To choose the Top Ten Superman Action Figures from the hundreds the have been made was a very difficult and daunting task however after many days of deliberation, listing and changing we finally came up with these figures. 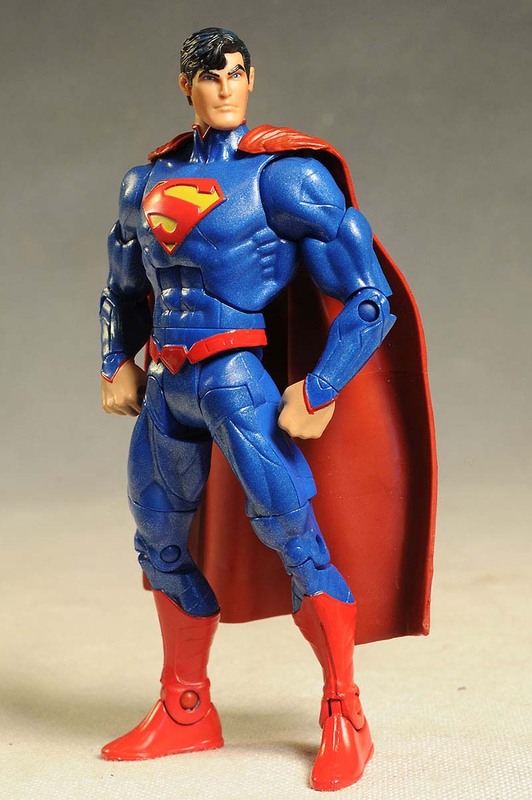 What are YOUR top ten Superman action figure? 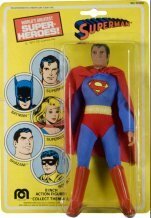 At number 10 it’s Mego Superman. Mego made the first poseable action figures of many comic book heroes and this one was no exception. What it lacks in detail it makes up for with sheer, vintage charm. At number 9 The Dark Knight Returns from DC Direct. Based on the classic 1986 comic series which became a best-selling graphic novel, one of the few, along with Watchmen to feature frequently on lists of important literature. This Superman is rather hefty, and combines perfectly with the chunky old Batman figure to stage their epic fight to the finish. At number 8 it’s the New 52 Superman from DC Unlimited. This is the high-collared, younger version of Superman we’ve been reading about since 2011 when DC comics rebooted their entire universe. 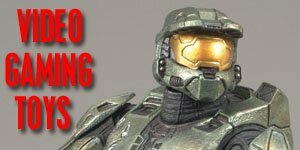 Super-poseable and highly detailed with a slightly metallic tinge to his alien bodysuit. 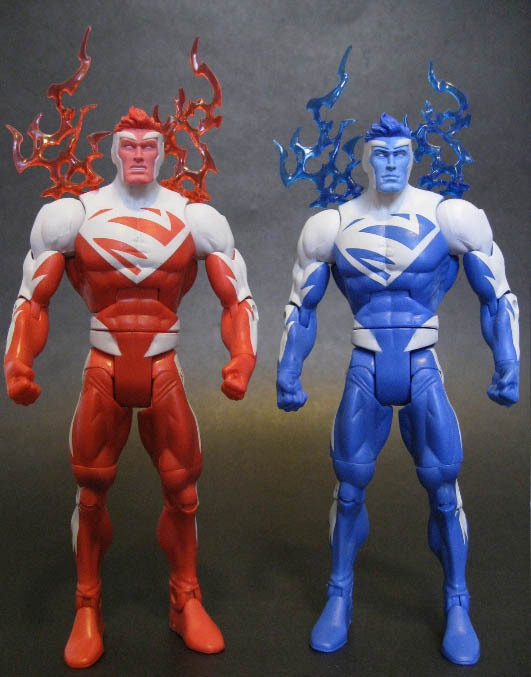 At number 7 it’s DC Universe Classics Red & Blue based on his look from 1998 when he was powered by electricity and split over two bodies, one more cerebral, the other more impulsive. Guess which was which. This concept actually dates back to a what-if story from Superman #162 published in 1963 in which rendered into two bodies and working with himself, Superman literally fixes every problem in the world. 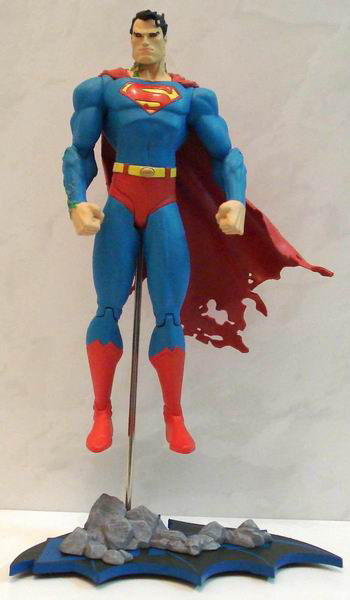 At number 6 from Superman/Batman Public Enemies comes this figure styled after the artwork of Ed McGuinness. 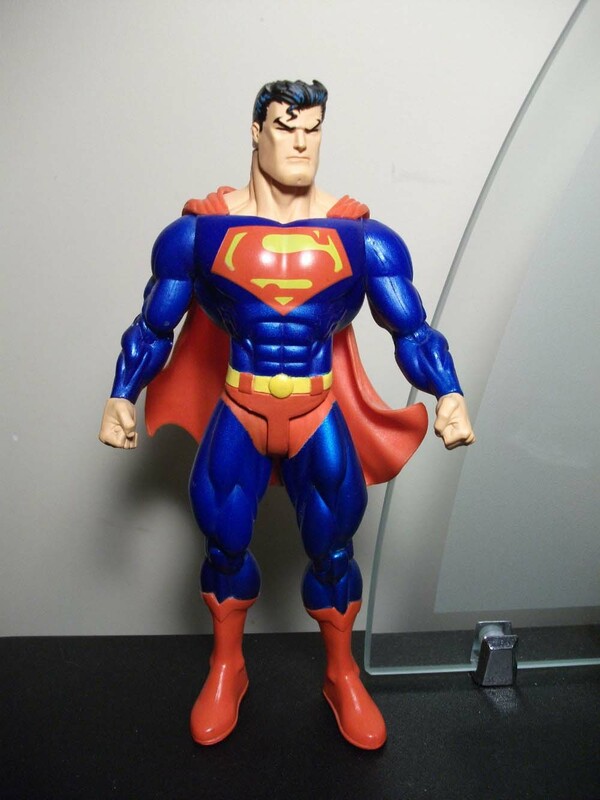 While on casual inspection he looks nearly identical to the myriad of blue-suited Superman figures out there, there’s something about the sculpt on this one that’s hugely appealing. His determined expression means business. 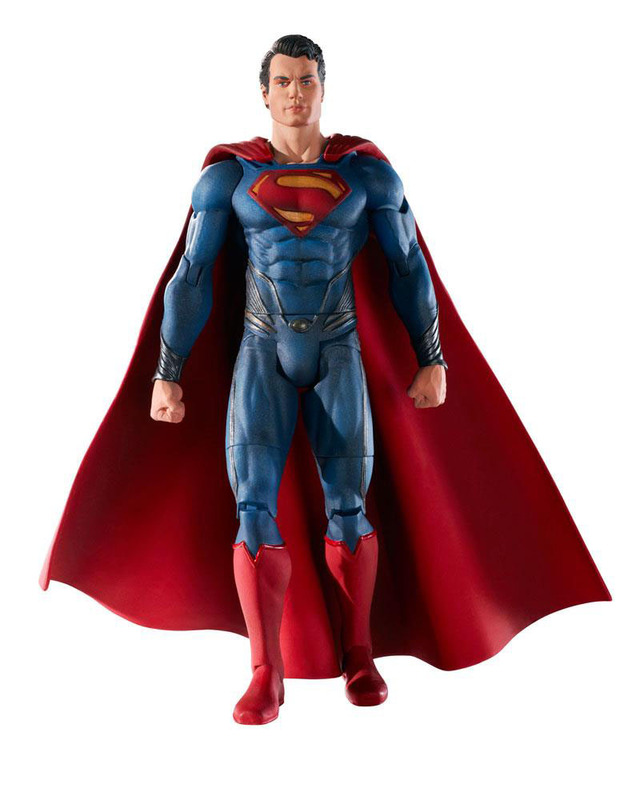 At number 5 from DC Direct is the Kingdom Come Superman. This guy is from a possible future in this book written by Mark Waid in 1996 and illustrated in an arresting, Norman Rockwell style by Alex Ross. 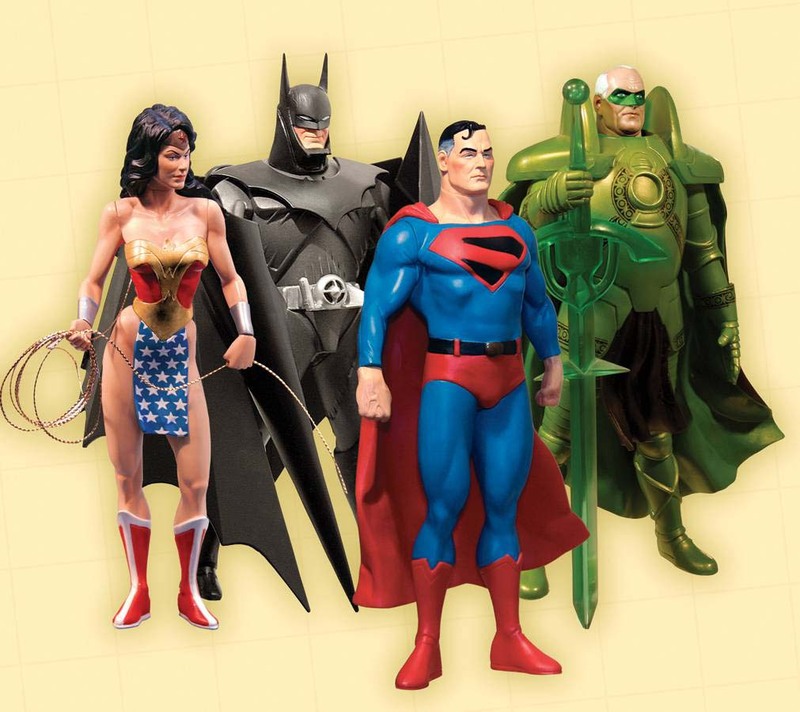 As with many of these figures, he looks best when standing next to his Justice League. At number 3 the new Man of Steel Movie Masters Superman. Unarguably resplendent of Henry Cavill’s likeness and equipped with tasteful articulation concealed within this gorgeous sculpt, this is the Man for Tomorrow today. 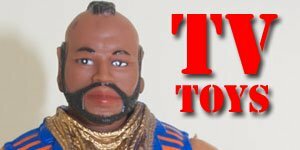 You can also get Zod, Faora and Russell Crowe’s Jor-el, who is surprisingly capable of throwing down for a Kryptonian brawl. At number 2 from the 2002 Batman comic series; Hush comes this dark, Poison-Ivy controlled Superman, sculpted in faithful effigy of the artwork of DC comics golden boy and comic book legend Jim Lee. Look closely and you will see tendrils of ivy curling around his broad neck, with a torn cape, heat-vision enabled red eyes, a base that simulates hovering and is adorned with rubble, not to mention one of the most awesome, ready for battle, mid-air stances. This figure is pretty much perfect. 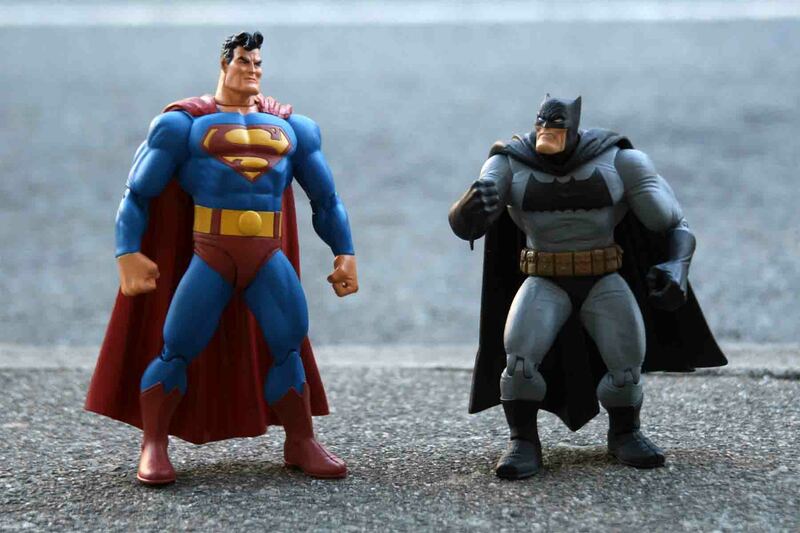 Superman is not himself today and Batman has a fight on his hands. 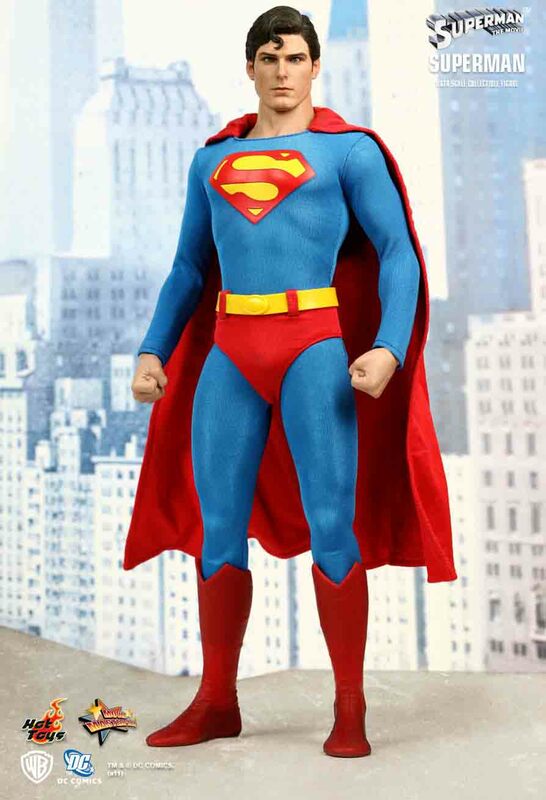 And at number 1 from Hot Toys, purveyors of some of the most high quality, luxury figures the world has ever seen, commanding high prices from the most dedicated of fans comes the Christopher Reeve Movie Masterpiece Superman. 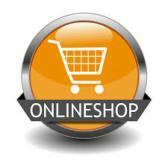 This will set you back a couple of hundred dollars, but you will see why people pay those prices on closer inspection. 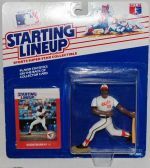 Beyond a shadow of a doubt, this is the most desirable, lovingly and faithfully sculpted figure on this list. Reeve was a man who captivated so many of us with his performance and this figure pays homage to the first true, serious silver screen depiction of a big-budget comic book superhero. 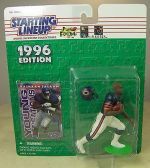 Uncannily detailed, even down to his striking blue eyes, he comes with a Fortress of Solitude base, a nugget of deadly kryptonite and a support stand to make you believe a toy can fly.